Live in a boutique Central Edmonton apartment. Rental Suite Amenities: Spacious size refrigerator, spacious size stove, blinds in full suites, laminate/tile floors, balcony (some), fully renovated suites, in-suite storage, heat and water included. 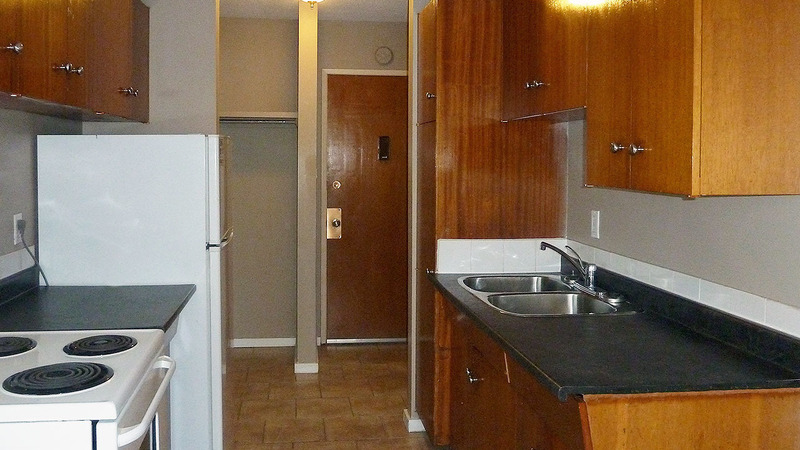 Building Amenities: On-site laundry, fenced, secured entry with intercom, outdoor parking stall. Neighborhood: Tran Terrace rental apartment building is located near Westmount Shopping Center (Wallmart, Shoppers, Dollarama, Safeway, etc. ), 10 minutes away from Kingsway Mall (H&M, Mac, Pandora, KFC, Subway etc. ), 5 minute walk to McDonalds, 2 minute walk to bus routes, 2 minutes away from 7/11 and Shell. MacEwan University Student Housing: Mainstreet has hundreds of rental apartments to choose from within walking distance of the Downtown Campus. Rent rates subject to change without notice. Call for availability.